We accept CareCredit ®, the leading healthcare credit card, to make improving your hearing health easier and more affordable. With CareCredit®, you can get the hearing instrument you need and conveniently pay for it over time with monthly payments that easily fit into your budget. CareCredit ® is a healthcare credit card for every member of the family. CareCredit® offers special financing on purchase of $200 or more* for healthcare costs not commonly covered by insurance, including hearing aids. It's the convenient way to improve your hearing health. Learn more by contacting our office. 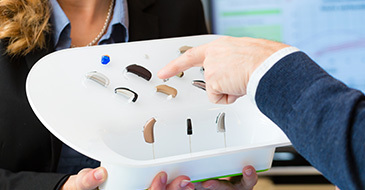 Various styles of hearing aid devices to suit all of your hearing loss needs and fit your lifestyle. 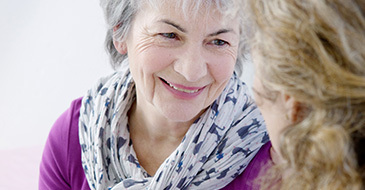 Comprehensive hearing evaluations to properly diagnose and treat your hearing loss. Schedule a visit with one of our hearing professionals and find out what we can do to treat your hearing loss! Established in 1994, Watertown Hearing Aid Center Inc. has been helping people hear better for over 20 years.